If waterfront views are a must for you, consider purchasing a home in Sunset Islands. Here you’ll find some of the most in-demand real estate in Miami, popular for its proximity to South Beach and its location on Biscayne Bay. Locals love the islands most of all for the views: Venetian Islands, downtown and, the islands’ namesake -- incredible sunsets. There are four islands in the Sunset Islands, with two separate entrances. Sunset Islands I and II are accessible from 20th street and 29th street will take you to Islands III and IV. Typical of most Miami luxury enclaves, the pricier luxury estates are located on the waterfront, while more modest homes are found inland. 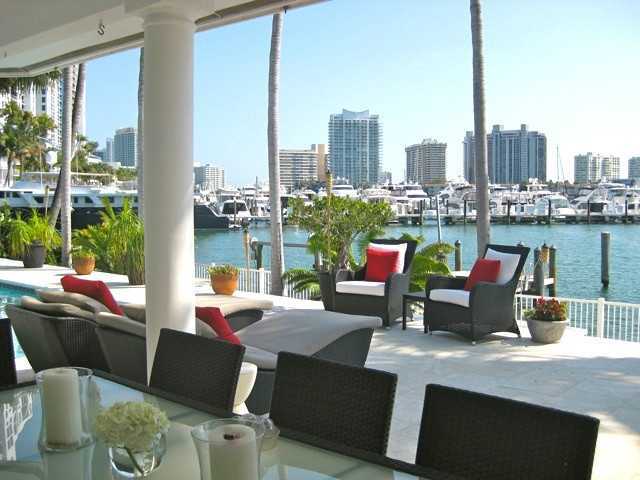 Waterfront homes offer ocean frontage to accommodate yachts of big size. The least expensive home on the Islands is priced at $1.4 million. 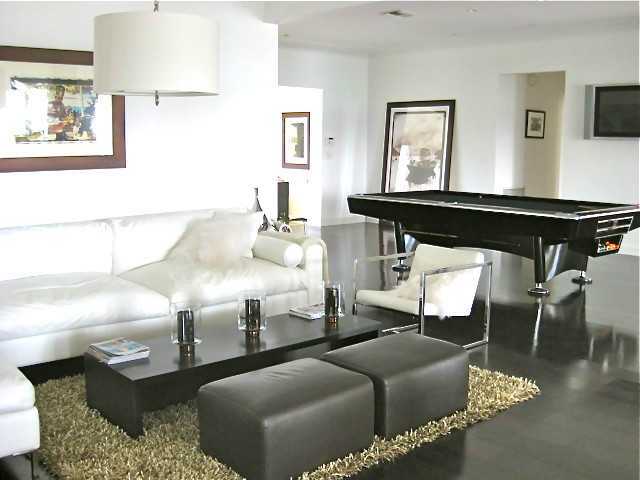 It features a wide-open floor plan with wood and marble flooring. The bathrooms and the kitchen have been tastefully updated with black granite countertops in the kitchen. There is also a heated pool in the tropical backyard. Stepping up in price, to $2.2 million, you will find a delightful two-story home with three bedrooms upstairs and two on the ground floor. There is both a formal living and dining room and an amazingly large family room with built-in bookcases and a sound system. The brick-edged swimming pool in the backyard rounds out this home’s ambiance. There are no homes currently available in Sunset Islands in the $3 million range. The closest to that price is a recently-remodeled beauty priced at $3 million. 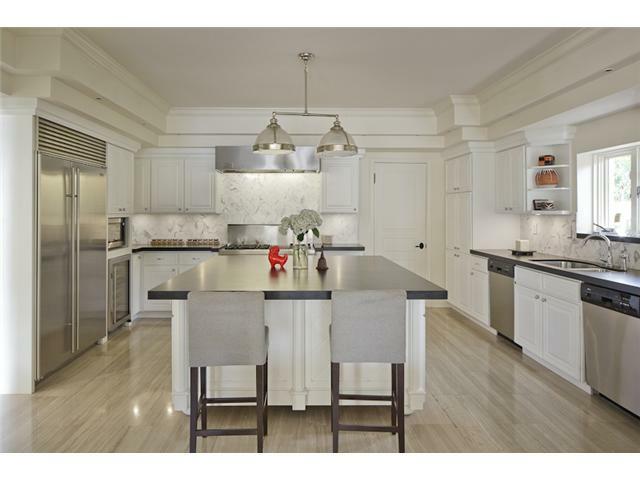 With 4 bedrooms and 4 bathrooms, this home offers 4,717 square feet of living space and features an office, a gym and a chef’s kitchen. Outdoors you will find lush landscaping and an infinity pool. The lowest-price waterfront home currently being offered is priced at $4.4 million. It features 4 bedrooms and 4 bathrooms in 4,559 square feet of living space. You’ll find marble floors throughout much of the home and expanses of windows from which to gaze at the sunsets. 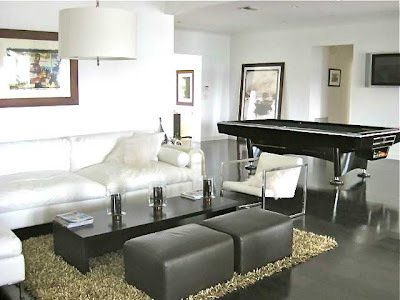 This home also offers an indoor water feature, large bedrooms, a media room and chef’s kitchen. This home's outdoor area is an entertainer’s delight with an infinity pool, a bronze fountain and a 70-foot dock. Perched at the top of the Sunset Islands housing market is Palacio del Eden, a magnificent estate with 100 feet of bay views. It also offers five bedrooms, five full bathrooms and three half bathrooms, in 9,994 square feet of living space. Enter the foyer and gaze at the backlit stained glass dome above. Enjoy the 13-seat theatre, the billiard room, and the fully-equipped gym. This estate also features a chef’s kitchen, a wine cellar, an infinity pool on the bay and a 4-car garage. There are also rentals available in Sunset Islands ranging from $10,000 monthly with 3,325 sq. ft. to $69,000 monthly with 5,285. There is not as much variety in available options rentals as opposed to purchasing in Sunset Islands but rentals lend themselves for shorter stay period or less of a financial commitment. Beautifully written with great images.. Love it. kitchen designs gallery Your kitchen is more than simply a place to prepare meals; it is the essence of your home and an investment in your lifestyle. Whether you are looking to create a bold and punchy contrast or an understated look to coordinate with your surroundings, our team at Kitchen Essence ensure that the result reflects the character of the owner and the home.